Tonight is Halloween, and with it comes scores of trick or treaters dressed in costumes. Most of the costumes you see will be silly or beautiful. Some people love scary costumes, and some houses go all out with graveyard scenes and giant spider webs. When your little one is out trick or treating, he may come across some things that are scary and become afraid. When this happens, your reaction can make or break an ongoing episode of fear. Before your kiddo starts worrying about monsters under the bed, try these tips to lessen fear. You don’t have to be watching Nightmare on Elm Street with your child for her to be scared. Sometimes even G rated movies can have scary parts. When you are watching a movie like this, don’t be afraid to tell your child what is going to happen. Yes, these wolves are scary, but don’t worry, Kristoff and his friend will be okay. You can also start teaching your kids about storylines. Most movies, tv shows, and books follow a similar story line, that a character must come across problems or situations that drive change. The problems are often dramatic and are made to create tension or nervousness. In Frozen, it is not only Elsa’s powers that are an obstacle, but her fear that drive her character development. You can also give spoilers about real life. If you are worried about your kids being afraid of costumes, talk about dressing up for Halloween and what they can expect to see. Let your child know that an adult or older sibling will be there, and that under the costume is a kid like himself. Make sure to give him a flashlight in case he gets scared. If your child tends to be more afraid than other kids, take it easy on Halloween. Go trick or treating early, before it gets dark or take them to a few friends’ houses to get candy, then stay home and hand out candy. If a scary trick or treater comes to your door, ask him to remove his mask to show that the costume is just pretend. Watch funny movies to avoid the scary movies on tv or read children’s books about Halloween with your child. Your little one may just want to wear her costume and hang out with you. Try to remember what it was like when you were a kid. Many kids have trouble distinguishing pretend from reality, so what is fun for you, may seem very real to them. They usually grow out of that stage around age 6. It is important to show your kid that you believe that their fears are real. If you acknowledge that something is scary to them that will be a huge step in moving forward. 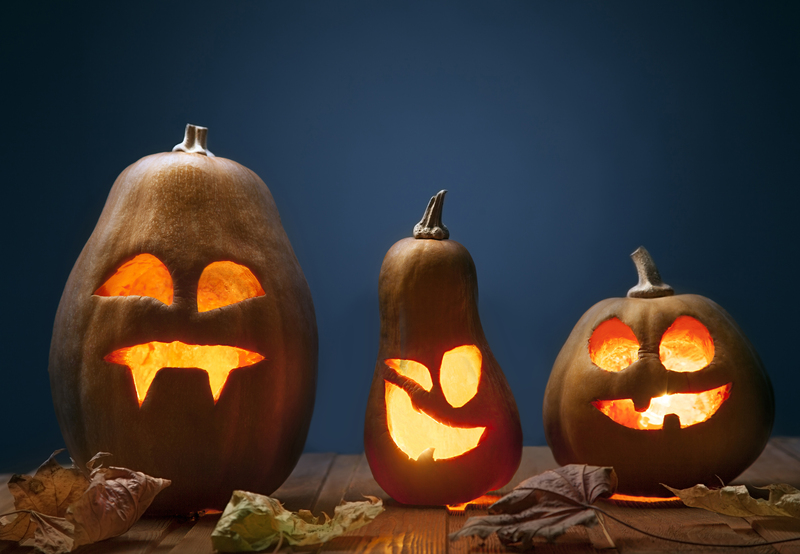 If your little one is afraid of Halloween, take it easy this year, be flexible, and look forward to less scary Halloweens in the future.